When young it is compact red with a sensory profile of ripe red fruit. Evolves in notes of licorice, juniper and china. The tannins are soft and enveloping. One of the oldest districts of the Guagnano fiefdom is called Camarda. 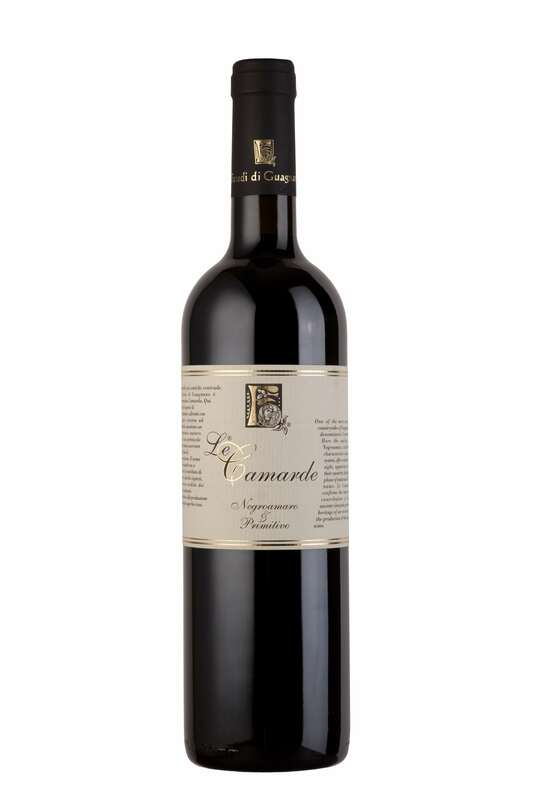 Here the cellar has several negroamaro and primitive vines that together contribute to the creation of this superb wine. Le Camarde is produced in Guagnano. The harvest is done manually at the beginning of September. The grapes macerate and ferment for two weeks. The wine obtained is aged in French oak barrels for three months. 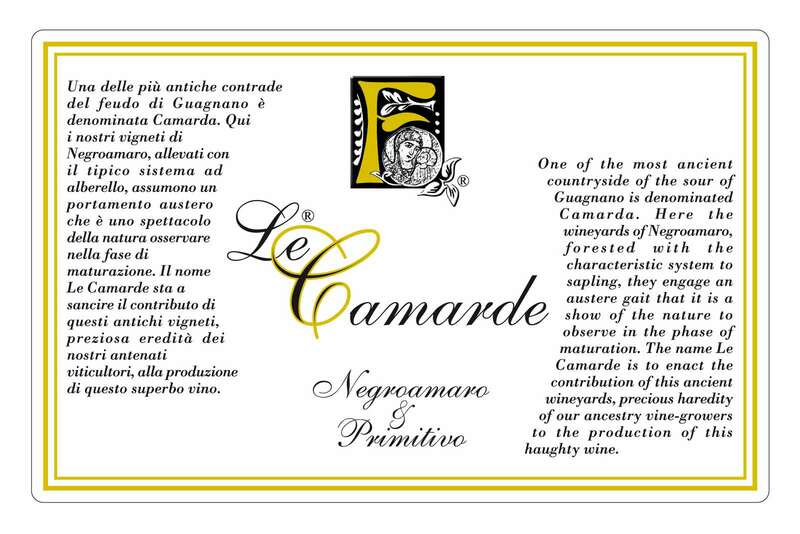 This wine represents the perfect enological synthesis of the two native vines par excellence of Salento. Its duration is not less than six or seven years.